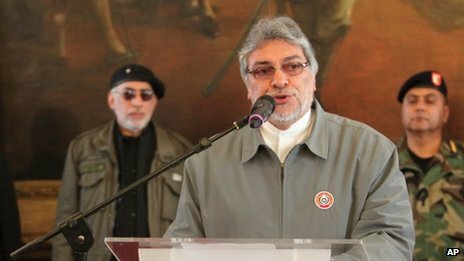 Paraguay’s parliament has voted to have President Fernando Lugo impeached after deadly land clashes last week. The opposition-controlled Chamber of Deputies voted overwhelmingly in favour of the move. This entry was posted in Article, Links, reblog and tagged Disclosure, Earth, Fernando Lugo, Lugo, news, Paraguay, South America, spiritual, Spiritual evolution, World. Bookmark the permalink.